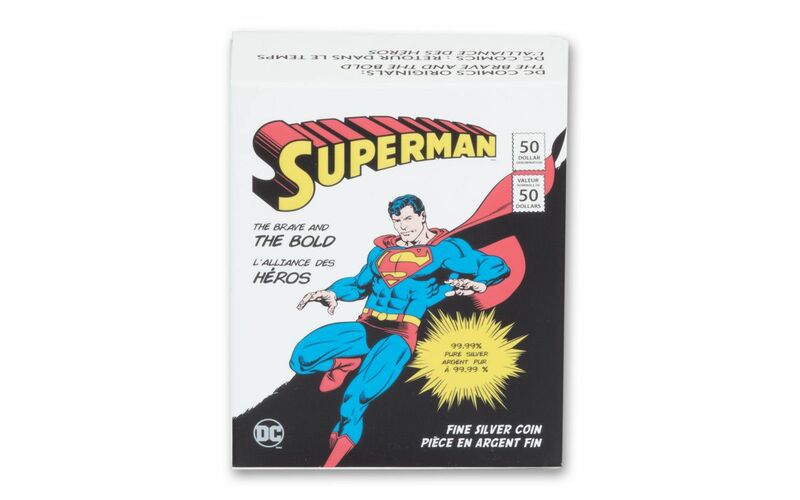 This 3 Ounce Silver Proof Features a Classic Superman Design, It’s a Must-Have for any DC Comics Fan! While there are many superheroes with plenty of fans around the world, Superman has always been one of the most popular. Superman made his first appearance in 1938 and has been an icon ever since. It should come as no surprise that Superman is quite popular throughout Canada as well. This three ounce Silver Proof shown here was struck by the Royal Canadian Mint. It features a design for The Brave and The Bold, which is a DC series that first began in 1955. Many of the characters of the DC Universe have been featured in The Brave and The Bold over the years. 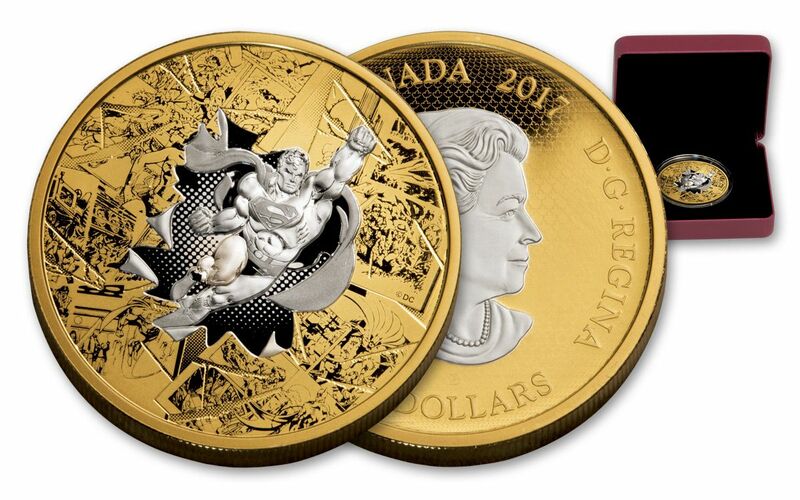 The Brave and The Bold– This coin was issued by Canada as part of the DC Comics Originals series. The DC Comics Originals series is known for its designs based on 1980s DC comic books. Limited Mintage– The Royal Canadian Mint struck this Silver Proof. It is made of .9999 fine silver and weighs three Troy ounces. Much of the coin has been plated with a layer of Gold. No more than 3,000 of these coins will be minted. 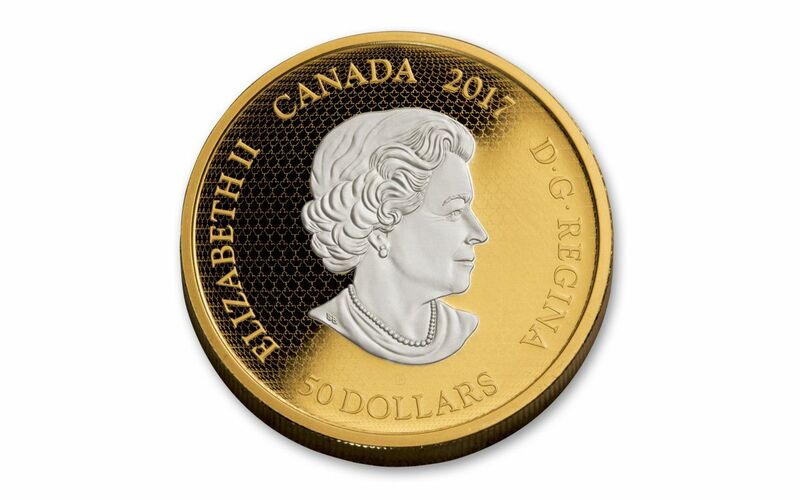 $50 Face Value– This Canadian coin has a face value of $50. While you could spend it in Canada, you wouldn’t want to! The obverse even displays Susanna Blunt’s portrait of Queen Elizabeth II since it’s Canadian legal tender. Original Mint Packaging– The original packaging still protects this Silver Proof. The outer box features a Superman design and this houses the clamshell presentation box. 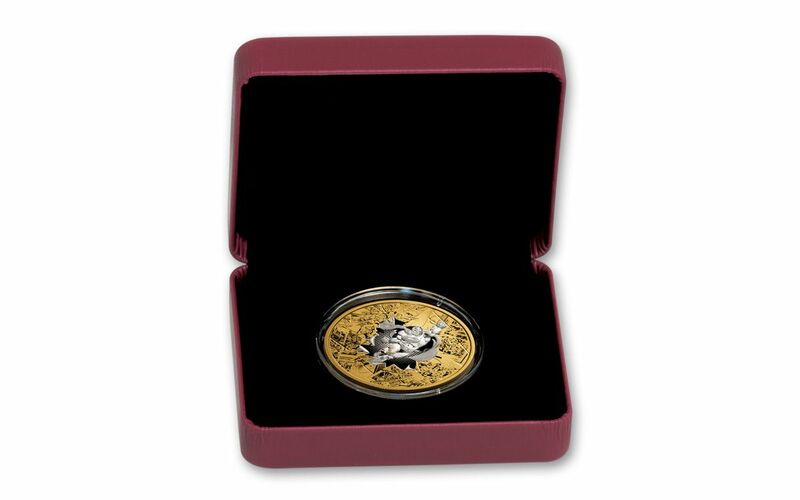 You will also receive a certificate of authenticity with this coin. 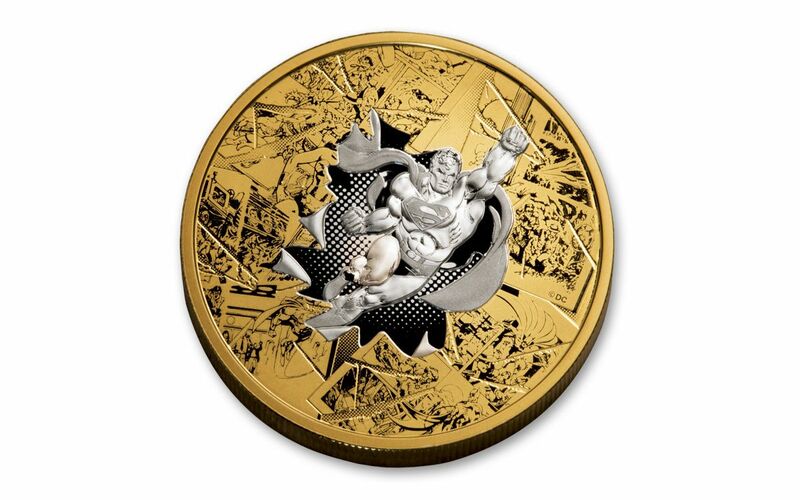 Unique Superman Design – The addition of a layer of Gold enhances the appearance of this coin and the result is stunning. Superman has been left Silver as he breaks through the comic book panels. The Royal Canadian Mint will release a maximum of 3,000 of these coins. Order your 2017 Canada The Brave and The Bold 3-oz Gold plated Silver Proof in original Mint packaging from GovMint.com today!